- The church was formed in the Runelsburg area in 1883 east of Cairo and held its first services in a sod schoolhouse. 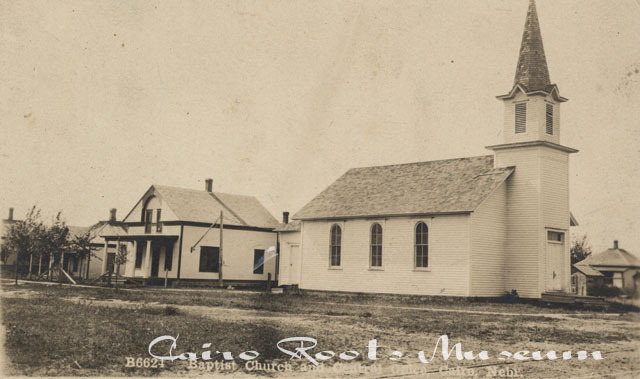 After the town of Cairo was established, the congregation began meeting in the new town at the Grand Army of the Republic hall. In 1901 the church pictured here was built and it served the congregation until 1986 when a new church building replaced this one.